Planning any summer parties: maybe a girl’s birthday party, a flamingo themed baby shower or a luau? 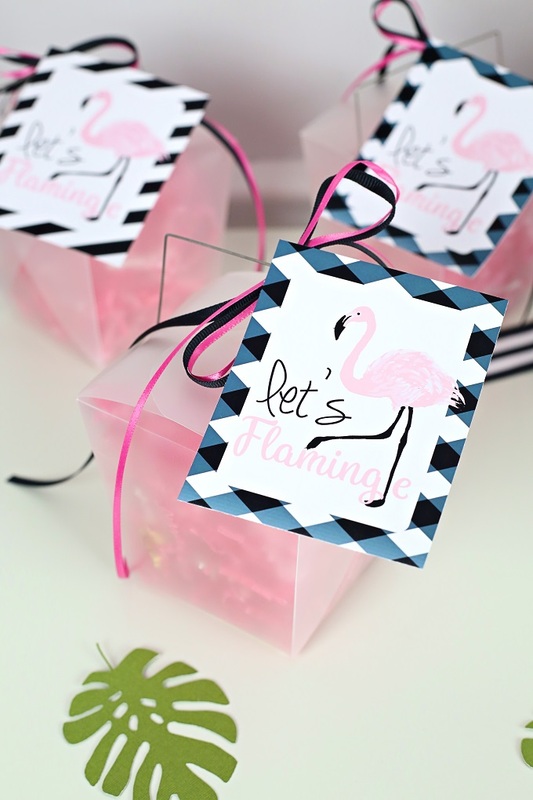 Well I have some super fun and oh so easy flamingo party ideas for you. Hi! I’m Kim Byers of The Celebration Shoppe. Let’s flamingle! We’re planning to move next spring (back to my hometown) and my boys have already decided that we’re going to host a luau for all our friends and family, a bit like a welcome home and housewarming party rolled in one. So although it will be a while before I get to host my luau, I thought I’d go ahead and design a few things so you all could have a party now! Flamingos have been really popular for a while now and they just keep getting cuter. 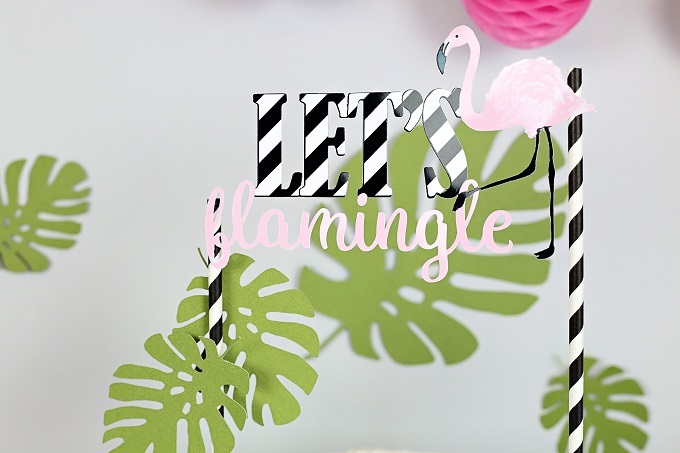 I made two things for you, a Let’s Flamingle Cake Topper (two versions depending on how serious you want to get with your scissors!) 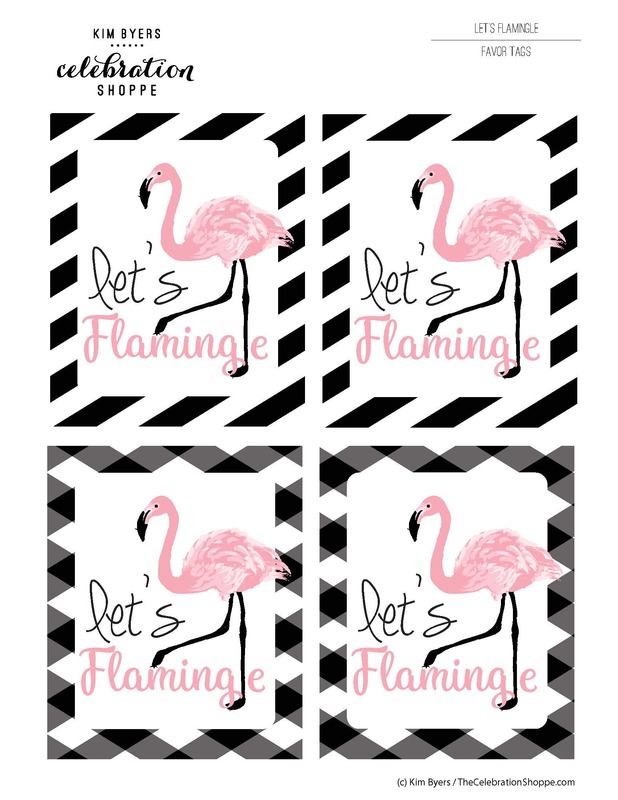 and a set of “Let’s Flamingle” Favor Tags. 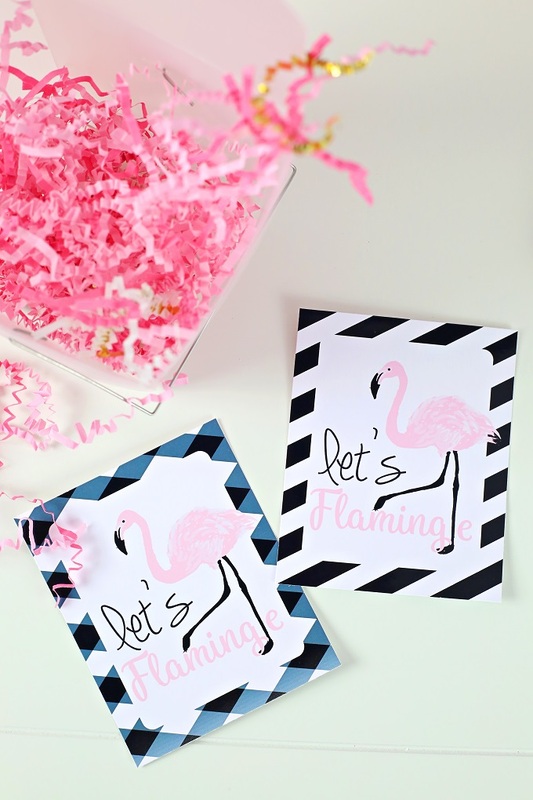 To get your flamingo inspired party started, you’ll need a few things from JoAnn Fabric and Craft Stores. 1. Print the cake topper on white cardstock (select “Best Photo” in your printer setting for the highest color saturation). 2. Cut design out. There are two versions. One has intricate cuts and the other has a background and simple cuts. 3. Place the design on a flat surface and attach to straws with small glue dots. 4. Insert wooden dowels in the straws and then into the cake. Trim off any excess straw if needed. 1. Print favor tags on white cardstock (select “Best Photo” in your printer setting for the highest color saturation). 3. Fill treat boxes with candies or cookies inside cello bags, close box, tie with ribbon, and attach the favor tags with glue dots. 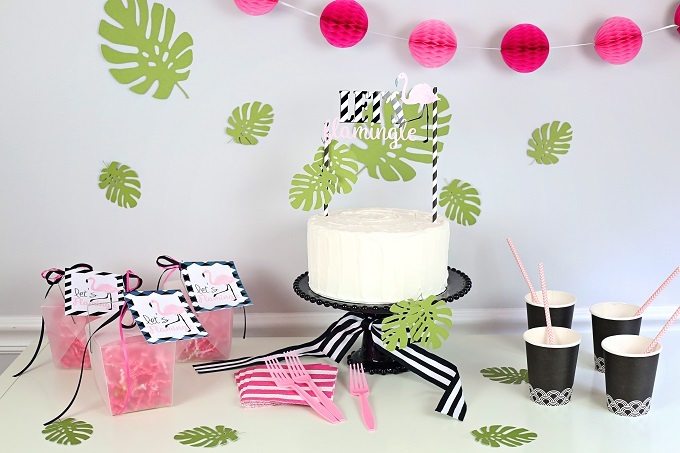 If you have a Cricut Explore, you can also cut out these fun palm leaves. Just open my project in Design Space, load green cardstock and cut. Looking for more summer entertaining ideas, make sure you download my “Oh My Stars” cake topper, sew my strawberries and polka dot ruffle tablecloth and napkins, and craft my flower cake topper and flower wall. I’d love for you to visit me at The Celebration Shoppe for more creative ideas! As always, I hope you’re inspired to craft, bake, create and celebrate with JoAnn!